How Can I Get a Link (URL) For My Instagram Page? How Can I Get an URL For My Instagram Page? Getting the URL for your Instagram page can be great for many reasons. Maybe you want to link to a particular Instagram post from your page on your website but don’t know how to do this, or maybe you want to share a specific post with your friend. No matter what you want to use your Instagram URL for, you can effortlessly get the URL for specific posts as well as for your whole profile on Instagram. 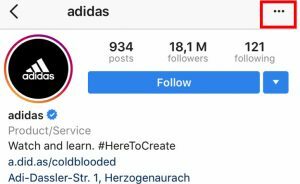 The good news is that you aren’t limited to only getting a URL from your own Instagram profile, but you can also get the Instagram account URL for any profile – even if the account is private. For the latter, this might not be a huge surprise because just because you get the URL for a private profile doesn’t mean you can access their posts, and after all, that’s the whole purpose of a private Instagram. Wha’s more, you can also get an Instagram URL for an Instagram post – both for your own posts and for others. In order to get the URL for Instagram from a post, you have to access the post first. As such, this means that you cannot grab the URL from an Instagram post if an account is private, because if you cannot access it, you can’t take the URL of a post. On the flip side, if you follow the private account, you would expect that you can get access to their posts and in that way get the URL posts which have been shared by private accounts, but if this would be possible, the whole purpose of having a private account would be lost, and so it isn’t possible. Note: In the case of getting the URL for a photo or video, if the account is private you will not be able to do this. 1: Go to the profile that you wish to get the URL for. Open up their profile and tap the icon in the top-right corner. Select “Copy Profile URL“. This will copy the Instagram profile URL from the page you are visiting, whether it is yours or someone else. 1: Once you’ve logged into Instagram, go to the photo or video that you’d like to get the Instagram URL from. 2: When you have found a photo or video, tap the icon in the top right corner and choose “Copy link”. 3: After clicking the dots, a new menu will show up where you’ll have a few options. As you would expect, getting an Instagram URL from a desktop is even easier than using the app since the URL is clearly visible in the search bar. 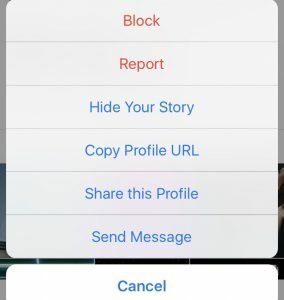 To get the Instagram URL of an Instagram profile, whether private or public, go to the account and then click on the URL which has appeared in your search bar. Now, right click on it and select ”copy”. If you wish to get the Instagram URL of an Instagram account, simply go to the post which you want to get the URL for, click the URL in the search bar, and then copy. With the desktop, however, you can get the Instagram URL of posts which have been shared by private accounts too. The catch is that if you give the URL to an Instagram account which isn’t following the private account, they won’t be able to view it. 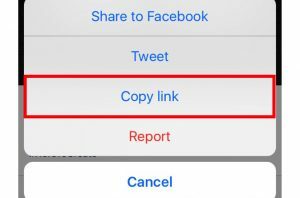 When you tap “Copy link” whether you copy the Instagram URL for an Instagram post or an Instagram profile, the link will be copied when you tap copy link. Now, you have the Instagram URL copied, which means you can paste it wherever you’d like. Getting a link/URL for your own Instagram profile is actually very simple. Why? Because all Instagram profile URLs follow the same pattern. 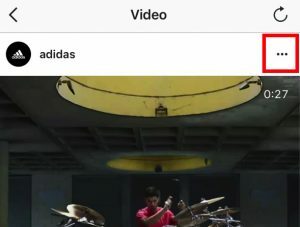 The pattern of an Instagram page is: https://www.instagram.com/username. then add your username. Now you have the link to your own Instagram profile. I can’t find any 3 dots. Please be more explicit in your description. A screen shot of what you mean would also help. To get a profile URL, you have to visit that profile and tap the icon in the top right corner. When you’ve done that, you’ll have the option “copy profile URL”. To get a URL from a post, tap the icon in the top right corner and tap “copy link”. Thank you!!! Finally found a solution! This information is outdated and NO NEW INFO IS AVAILABLE !!! Instagram is waste of time. No info, all mixed up, all screwed up and nobody seems to have an ahhhhhanswer. Totally screwed up. Zuckerboy seem to have totally lost it. Thank you for your comment! What is it that is not working? I’ve updated the article slightly. What do you need help with? Did you follow the steps in the article? Thank you dear, it helped me. To get the link to your Instagram profile – go to your Instagram profile with a different account than the one you want to get the link for. THen tap the three dots in the top right corner. Now, tap “copy profile url”. Now, the link to your profile has been copied. Now you can just paste it.